The FLEXware 500 supports up to two inverter/chargers and two charge controllers in an attractive, versatile and code-compliant package for installations where more power is needed. The FLEXware 1000 accommodates up to four inverter/chargers and four charge controllers. Multiple power panels can be used for systems up to 36 kW. Both the FLEXware 500 and 1000 systems provide ample locations for AC and DC breakers, DC-current shunts, an autotransformer and other items required in higher kW systems. 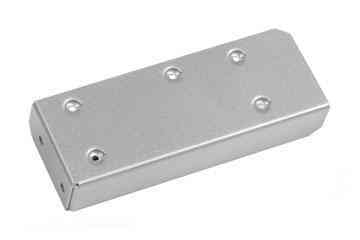 The FLEXware MP mounting plate is used with with both FLEXware 500 and FLEXware 1000 enclosures. Use two mounting plates for the FW1000. The picture here shows the FLEXware 1000 AC and DC boxers with 4 inverters and 4 MX60 charge controllers. When adding charge controllers, additional inverters or circuit breakers, these components may be necessary. 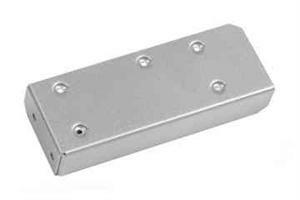 Ground/neutral terminal busbar with mounting screws (no insulators).